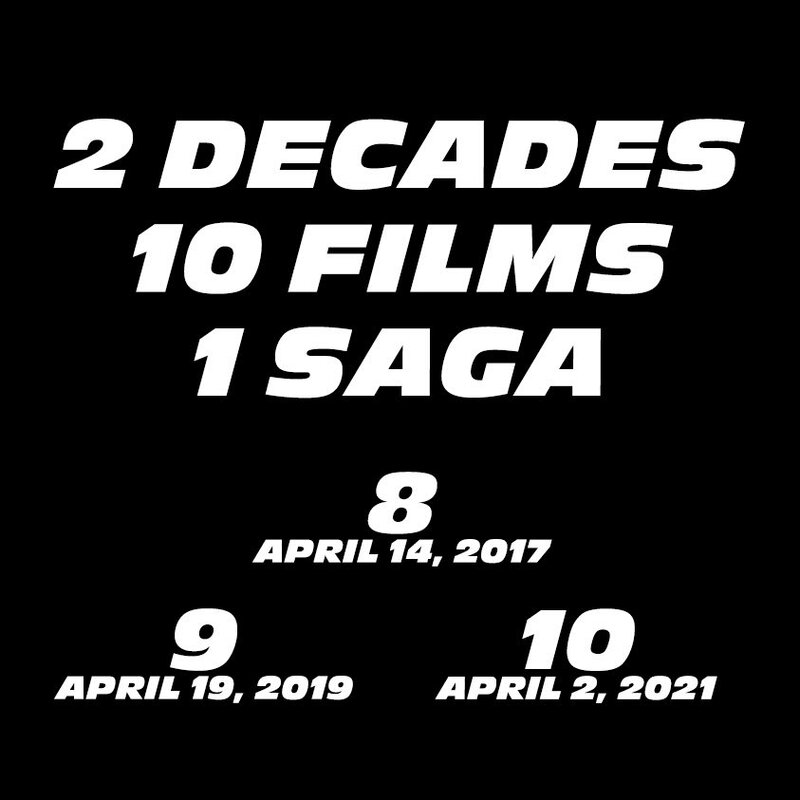 Fast and Furious Announcement: 2 Decades, 10 Films, 1 Saga. The eighth film will come on April 14, 2017; the ninth on April 19, 2019; the tenth on April 2, 2021.. HD Wallpaper and background images in the Fast and Furious club tagged: photo fast and furious announcement future films 2017 2019 2021. Look, we already have a poster for the link!